As you can imagine, there has been much going on in the past four weeks here at the Sandbox offices. We found the time to sit down with our Art Director Marcus Koch and Game Director Robin Henkys to give us a little update what their respective departments have been working on in the past weeks to bring us smoothly into the Closed Beta. Our Game Director Robin Henkys joined Sandbox Interactive in March 2014. Previously he was with Bigpoint, where he was the Lead Game Designer for Drakensang Online. Before that, he was Lead Level Designer for Radon Labs‘ Drakensang series. Before we delve into all the new things we can actually show off, let’s mention that there has been a lot of work put into the technical side of things. We have put much work into improving the performance of the game, and particularly into some of the animation handling – that should feel much more balanced. 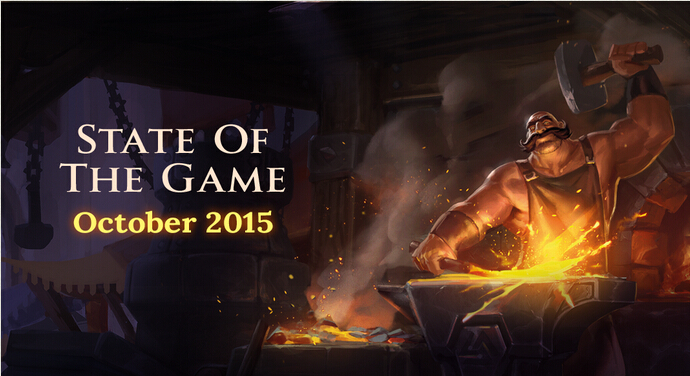 With all the feedback from the Summer Alpha, we have worked on rebalancing certain aspects of the economy. We had a good look at the statistics and where we wanted to go and implemented some changes. The biggest of which is the complete removal of crafting costs in clusters to have a stronger focus on actual resources rather than silver. Along with this comes a rebate on resources used when crafting in clusters. Our farming and consumable system has also been rebalanced. In our Closed Beta, the need to re-buy seeds after a successful growth cycle has been removed. You will always get a new one after harvesting your crops. With the removal of Silver from anything but the initial seed-purchase, the value of crops, and thus the consumables, is based solely on yield and time needed to grow them. With the inclusion of the new armor types and all the other changes made to the skills, we needed to overhaul our Destiny Board as well. While we were at it, we made sure to make it more compact, readable and understandable. We have finished working on the Land Auction System. This is a new system in which you will have to compete in auctions for city plots against other players which brings a touch of economic PvP into the game. After the feedback on our Summer Alpha – and with the new possibilities our larger development team has opened up for us, we naturally wanted to take a good look at the core of our game again – the combat. We have introduced a new weapon, the Quarterstaff, and revamped abilities and spells on all other weapons. While at it, we also reworked some of the animations and sounds, to make combat an even better and exciting experience. Marcus Koch is the Art Director for Albion Online. He has been with Sandbox Interactive from the very beginning and is responsible for Albion Online’s unique art style. At 38, Marcus already has 20 years of experience in the areas of game-, cartoon movie-, and comic-art in 2D as well as 3D. In the art department, we’ve been busy producing the graphical assets needed for all the great new features we have in our pipeline for the start of our Closed Beta. First and foremost, the new login screen has been finalized and animated to introduce your character into the world of Albion. A cozy camp fire, leaves moving in the wind, flying birds and drifting clouds, just to name a few. With the introduction of the Laborers came the need for new characters and their visual outfit – as well as the introduction of new icons for journals and trophies. Icons have been a large task in this past month in general. With the complete overhaul of our combat system, we introduced a vast number of new spells – which, in turn, often needed new icons. And with the new armor system, all the new sub-types need visual representation as well. Splinter - Will there be new abilities added to the new armor sub types to allow for more varied builds or will it be the same as before and will the armor differences only be about resistances ? The combat system and the items have been entirely overhauled and reworked and you should see characteristic abilities for each armor sub-type, as well as a vast array of new ones. For example we have now a total of nine helmet abilities, compared to three in the previous Summer Alpha. Thus more and entirely new combinations are possible. Grimfest - With the recent changes to silver and its uses, can you give us some more detail as to what silver is now used for? With the rework of the economy, Silver is now mainly used for repairs, upgrades of your Private Islands, transmutations, usage fees for crafting stations, land auctions and reforging. And, of course, to buy items from the market. HCN - Are we going to have the client fully translated for the CBT? Yiss! The client will be available in English, German, French, Russian, Brazilian-Portuguese, Polish and Spanish. It might not be right from day 1 of the Closed Beta, but it will definitely happen. FlufferPope - Will both the old continent and the new continent be accessible content in the beta at game start? With the increase of player numbers we will see in the Closed Beta, there was the need for additional lands to conquer. Explorers have been, well, exploring, and discovered an additional continent. It’s comparable in size to the old one, and ship routes between those two continents have already been established. New colonists will end up on one of the two continents. Luci – Are there going to be changes in the way resistance is applied to the armor pieces? As you might know, in the Summer Alpha it was possible to have armor combinations that gave you an overpowered amount of resistances. We changed this so that now only the chest piece of your armor determines your resistances. This comes in conjunction with the new armor system that introduces Light, Medium and Heavy variations of each armor material - also bringing way more variation when it comes to armor abilities. What is Albion Online Gold?